The American president, interviewed for CBS News, asked about the recipe for rising unemployment, said he had no universal solution – “Even to stay in place, we have to move fast.” Later in the interview, he also added that the labour market was experiencing a crisis as the machines deprived people of an employment. This seemed to be a good diagnosis, although really approximate as well. What is important is that it is still prevailing – what John Fitzgerald Kennedy pointed out on September 2, 1963. The unemployment rate in the United States was 5.5% at the time. The use of machines in the economy was almost exclusively in the industry sector – the machines could only have replaced manual workers. Many of us seem to think it’s the only possible direction of automation in the economy. 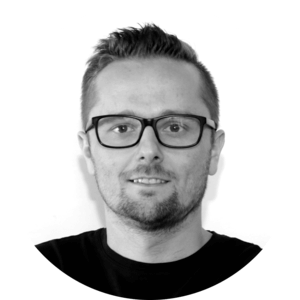 We know many examples of robotization in the industry, and the solutions we introduce there are obvious and necessary for us to increase the efficiency of our businesses. The robots which appear in factories and in warehouses are meant to replace an employee to accelerate production. 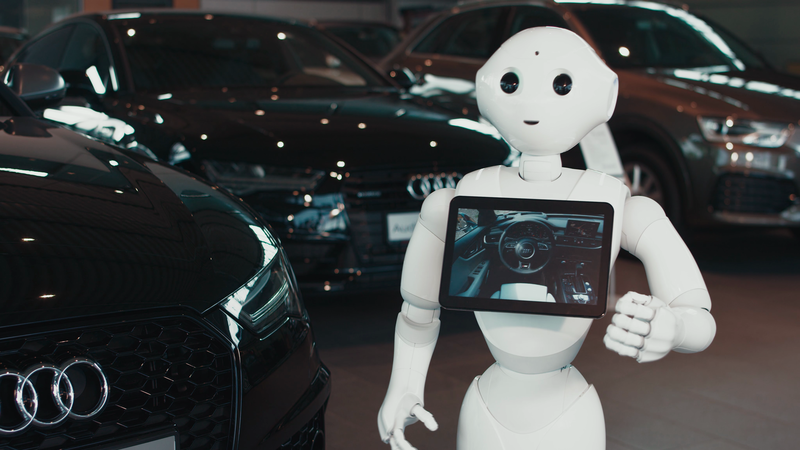 Their focus is on moving objects or combining them, but only in clearly defined places – in other words, industrial robots can only work where they are at a given moment. They are not capable of quick re-classification; They pick, move, and assemble objects which they can reach. This is how many people imagine automation: that it can only happen in the places where activities are highly repetitive and clearly defined. The multiplying examples, however, allow us to state without doubt that this is not the only direction of the development of automation. In addition, it is a path that we are not entering in the broader perspective of implementation of Artificial Intelligence systems. Losing physical workers in factories is a fact, but it is not the only way of taking over jobs by the machines. Martin Ford, Silicon Valley entrepreneur, quoting numerous examples of modern technology development and connecting them with the changes in the American economy, puts forward a proposal that initially is difficult to be agreed on: robots will take over our jobs in almost all industries and it will happen much faster than we could have ever expected. It is necessary to recall the famous Moore’s law which is necessary for the expert analysis in this matter. It says that the computing power doubles every two years. In practice, this process is not consistent, because development is not only about computing power, but also the efficiency of algorithms. Martin Grotschel from Berlin’s Zuse Institute has calculated that a computer from 1982, with its software, would solve a specific computational problem within 82 years. Equipment from 2003 would solve the same problem in a minute. The comparison is transparent. Solutions for the IT industry and all its technological advances are immediately applied in the economy. Artificial Intelligence research is generally focused on experts’ intelligence, that is, specialized, taught through the use of neural networks. The goal is to prepare the software to perform specific activities that are performed by people in the current environment. So it is impossible to pretend that technological development does not directly affect the labour market. Defining Artificial Intelligence is not easy though – a unique, consistent definition of such model has not yet been established. The definition of Bellman is quite interesting: “Artificial Intelligence is the automation of the abilities attributed to human thinking, such as decision making, problem-solving, learning …” We also distinguish experts’ intelligence and general purpose AI. Creating experts’ intelligence is not as challenging as working on general intelligence. Its creation will take much longer and it is difficult to predict the time of its completion. However, it can be assured that this will be a breakthrough. General intelligence will be able to clone itself, and even – which is already far into the future – construct forms better than itself. For us, it is a very distant perspective. At this point, the software lags behind the construction. Contemporary robots are getting better and better at moving around on different surfaces, their movements are getting slimmer and faster, and they are increasingly becoming more similar to a human walk. However, there are still some obstacles that slow them down – for example, stairs. Honda ASIMO robot is already able to walk the stairs, although these steps are still somewhat slow. 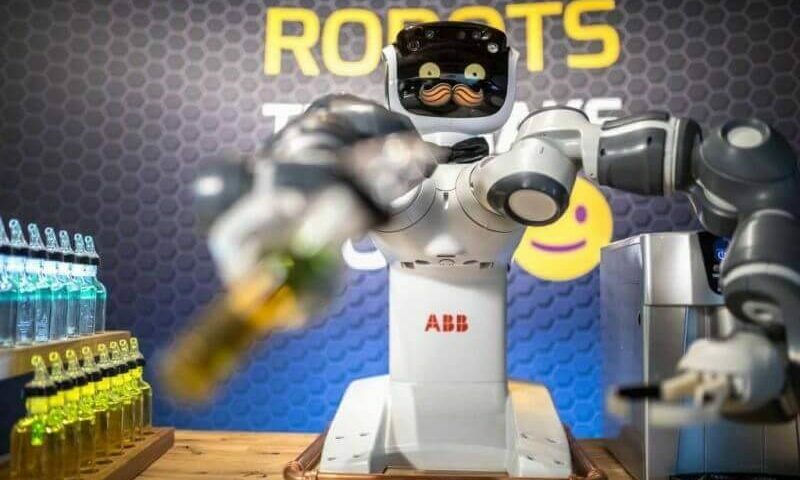 Progress in the field of humanoid robots is gradual but noticeable – constructions dating back over a dozen or so years are considered archaic, and one can expect that the pace of development will be maintained. To a large extent, we owe it to the achievements of the military industry. Modern concepts of military robots are emerging around the world, not just within the drones, but also in the exoskeletons. Also, saper robots are used more and more often and although they do not resemble fully humanoid devices that could completely replace a soldier, accomplishments in this field can be accommodated on the ground of robot-worker development. One example that may be the starting point for introducing robotisation on the labour market is HAL – Hybrid Assistive Limb, developed by Professor Yoshiyuki Sankai from the Japanese University of Tsukuba. This is an exoskeleton in the form of a jumpsuit that interprets the signals sent by the brain. The holder of the exoskeleton thinks of getting up and the device immediately does it for him. Prof. Sankai also created a suit for the workers who were responsible for the failure of the Fukushima power plant, which helped to carry heavy objects so workers could work longer and more efficiently. What does it mean for the labour market? Anyone who has dealt with an infirmed relative knows how difficult it is to move people even of a relatively light weight. Professor Sankai’s suits have been used in the care of the elderly and have been certified by the Japanese Ministry of Economy, Trade and Industry. It’s the first device of such type in Japan. They can be rented for $ 2,000 a year; today more than three hundred Japanese care facilities use this solution. It still requires a human presence, but the research keeps being carried out. The same applies to the other pioneering devices. The use of robots in the manufacturing sector today is completely self-evident. We cannot imagine a car factory without automation – they greatly increase the efficiency of companies, while allowing a gradual reduction in the expenses so far spent on staff salaries, which translates into car prices. In China, which is considered a giant in terms of cheap labor, automation is also at a high pace. However, there are other sources. Between 1995 and 2002, China lost 16 million workers, which constituted 15%. Automation had to be used as a solution. Foxcon, the manufacturer of hardware for Apple, declared in 2012 the desire to introduce millions of robots into their factories. This phenomenon affects most factories. Automation also allows avoiding criticism of working conditions. There are still sectors of the economy where human intervention is necessary, despite physical labour which can theoretically be automated. So far, such a branch was considered the food and fruit industry. The man seems to be essential to, for example, collect strawberries or other fruits – we can quickly analyze whether a given fruit is already mature and we are able to adjust the grip strength to not crush it. These conclusions come to us at a subconscious level and in very short time. However, today the situation is not so obvious. In Japan, there are already robots which can state within eight seconds, whether a given strawberry can be harvested or not, which can be seen by a human eye, and then proceed to careful harvesting. Eight second is more than in the case of human, but such a robot works at constant efficiency twenty-four hours a day. The production is significantly accelerating. In agriculture, automation has already started place in the 20th century; automatic milking machines, specialized harvesters that require less human intervention, automated poultry slaughterhouses – all these solutions need only supervision and technical support. But the works in the fruit garden are new and can be a breakthrough. In agriculture, as in any other branch of the economy, automation threatens in the first place low-skilled workers whose jobs are based on repetitive physical work. The only hope for them is changing the industry and improving qualifications. It seems that man is impossible to replace in the service sector. Such thinking is based on the premise that people naturally prefer contact with other people and do not trust machines, especially those that are somewhat primitive sometimes. Automation takes place at the back of the service sector. 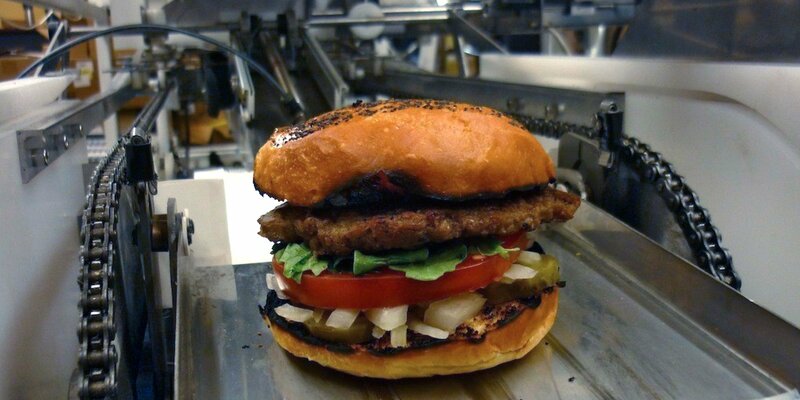 There is a fast food restaurant Momentum Machine where a robot is able to prepare 360 ​​burgers. The customer receives them fully automatically, on a tape. The founder of the company, Alexandros Vardakostas, simply admits that it is not about improving the productivity of employees but about replacing them. However, we have to recall that we are talking about fast food, i.e. places where thousands of people are hired every year. It does not concern exclusively students, attracted by flexible schedules and the possibility to combine learning with work. The graduates often work in such places when they cannot find a job connected to their learned profession due to an increased competition, as well as older people. In Poland, 19,000 people work in McDonald’s restaurants. In the United States, 3.5 million people work in the fast food industry. Automation can lead to a significant increase in unemployment rate – most of those people do not have a chance at the moment to find a job elsewhere. The same applies to shops. ATMs and self-serve cash registers are also common in Poland, but in the States, fully automated newsagent’s and film rentals are becoming available, and Walmart is trying to launch products scanning and payments with the use of a phone. As far as movie rentals are concerned, the development of automated venues contributed to the closure of the Blockbuster network, where worked 60,000 people in 9,000 offices, which gives seven people per office. The same number of employees are necessary for Rexbox auto-hire for the whole region. And what about the more difficult tasks? These are the most up-to-date and expressive examples of change. However, there are much more of them and concern much more advanced ones. The Northwestern University researchers in collaboration with their students have created StatsMonkey, a software that creates unique sports reports based on the information found. The success of the software encouraged its creators to set up Narrative Science company, which released a software called Quill which was even better than its predecessor. It is now used in magazines and serves to prepare press releases. Advanced technology is able to drive a man out of the creative industry because it can create it itself. We can point out the example of software that creates music itself, Iamus. There are more such software and their development is just a matter of time. At first, they will only take over some of the employees’ work. However, with time they can replace journalists – one of the founders of Narrative Science admitted in 2011 that according to him, in the next fifty years 90% of texts will be written using software of this type. The danger to the journalist industry, however, is that an appropriately advanced program will produce the texts which the reader will not distinguish from the written ones. Automation concerns marketing as well. Google has created a system that accurately maps the style of writing of a particular user and publishes posts or sends emails. Where else can we encounter automation? There is a very interesting and important WorkFusion start-up, which has created software that manages the entire project implementation process. The platform itself analyzes the project and groups actions on those that require the worker, and those that can be automated. It then publishes recruitment advertisements, selects employees and assigns tasks. It also measures effectiveness (for example, based on how fast is typing) and gives more difficult tasks to the employees which deal better with them. Automation of management seems unrealistic, yet it becomes a fact. Its superiority over management professionals is absolute objectivity. We cannot skip medicine. Every year in the United States, 98,000 people die from misdiagnosis, and expenditures incurred for research are increasing in order to avoid mistakes. In the medical centre of the University of California, San Francisco, there is a fully automated system which is in charge of receiving, storing and administering medicines. Prior to delivering and administering the medicine, the nurse verifies whether the bar code on the package and the code on the patient’s armband match. This way drug misuse or erroneous dosage can be avoided. General Electrics has been working on a surgical instrument sterilization tool since 2013. The future of the medical industry increases the level of patient safety. It must be borne in mind that automated medical diagnostics already exists, although in specialized fields. Also in Poland, cardiosurgery is one of the best in the world. Researchers at the Boston Consulting Group have investigated a phenomenon known as cost-cutting. 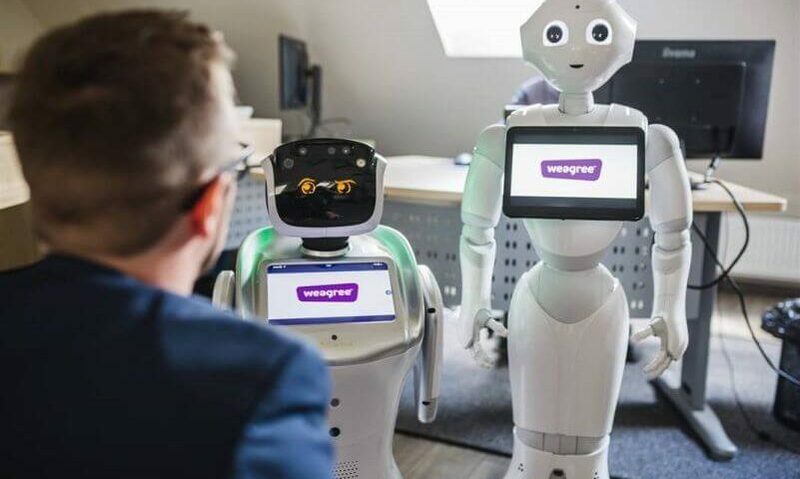 Their conclusions can be clarified as follows: at the point where the purchase of a robot will be more profitable than employing a worker for over a 5-year period, the speed of robotic development in the world will increase from 5% per year to 25% per year. However, employing people is still more profitable. A person may change his specialization and may use his physical abilities to perform a particular form of task. After the cost break, a lot will change in the structure of employment. Rapid unemployment rate’s increase can be expected among former employees in the manufacturing sector. A demand for high technology products will increase, but it is doubtful that the number of job posts will be sufficient for the workers who lost their jobs due to robotization in the manufacturing sector; Their qualifications will play a significant role here. If they do not find an employment in other sectors of the economy, an increased unemployment rate or emigration, not necessarily to more economically developed countries, may be expected. Changes in the manufacturing sector will occur the earliest. Increasing number of investments in modern technologies will also translate into robotization in other areas. It is anticipated that after the manufacturing sector, the development in the use of robots will occur in the management processes as well as in diagnostic processes. The professions which performance is connected to a certain pattern of conduct, i.e. accountants, librarians, low-level officials, telemarketers, or even receptionists, will be at risk of being automated. The faster the automatization occurs, the greater the annual increase of the unemployment rate will be. This will result in the beginning of a violent transition that could destroy the economy that we have known so far. A large part of the population will lose their livelihoods, which may in part reduce consumption and have a detrimental effect on the state budget. Many of us are asking this question. Nobody is able to give an approximate date, but I am convinced that this breakthrough will occur in the next few decades. It will not only constitute a big economic shuffle, it will also change the everyday life of each of us. The fall in production costs would also cause fall in price, which will make our lives – approximately – cheaper. Let’s keep in mind, however, that the development of information technology does not mean the fall of natural human relationships. I am sure that there will occur a reverse phenomenon, that is, the flowering of the offline reality. People will have time to live their lives. It is inherent in our nature that we are looking for a company, and the popularity of contacts over the Internet derives from the lack of time for meetings in the real world. It will change. The vision of a huge unemployment and social change, which has so far occurred in the history of the economy on a much smaller scale, is undoubtedly apocalyptic. Nonetheless, robotization does not occur like it is presented in science fiction films – it does not involve the sudden extermination of mankind by specialized robots. It is progressing gradually and initially involves the implementation of amenities for employees so that they have fewer responsibilities. Then, it results in the decrease in a number of jobs for people with low skills performing repetitive work, based on a simple pattern which can easily be learned. Unfortunately, many more professions can be described using an algorithm. Once such profession is described in this way, a specialized software can be created. And the software is in its turn easy to copy thanks to the possibility to save data in the cloud – hence there is no need to put a lot of effort into training other robots like it would be in the case of people. It’s enough to just move the data. Robotization has not yet occurred in the form which was anticipated by technopesimists – like they call themselves. However, it can change – and it will change in a very violent way. Luddites, who in the nineteenth century opposed the introduction of looms to the weaving industry, were fighting with the problem like terrorists: they were destroying looms. Nonetheless, the development cannot be stopped. It has to be admitted openly that robotization is no longer a “science fiction”. It is just “science” now. Only a good strategy can save us from catastrophic technological unemployment, which will bring about a huge crisis. But if we manage to go through a period of transformation, and if we start living in the new reality well prepared, we may be surprised how in a fully digital world we will become more human.become ore human suddenly become so full of humanity.